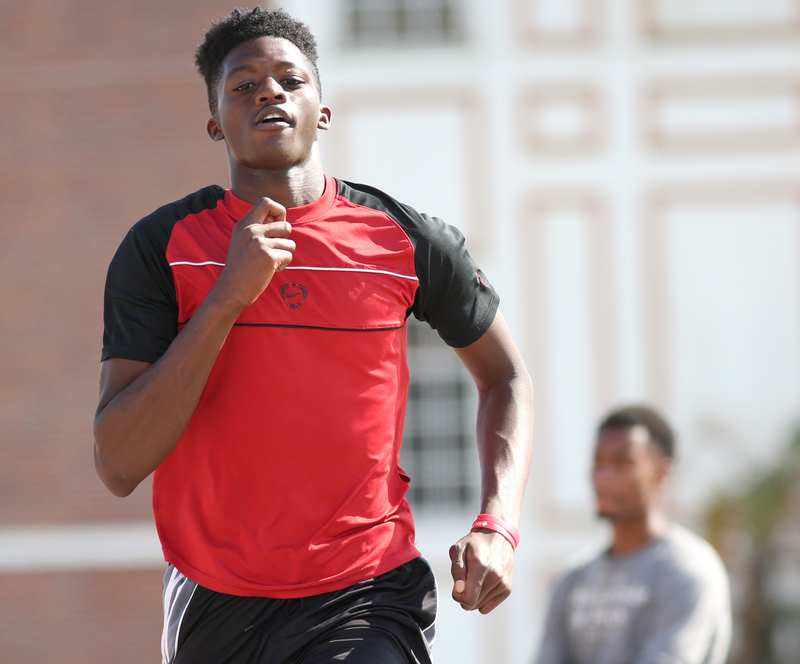 TAMPA — There are three hurdlers at Hillsborough High — Qadiir Wajd, Alexis Woodall and Kailiece Harris — who are not only leading Hillsborough County, but could end up among the leaders in the entire state. How steep is Wajd’s progression curve, because this really is his first year of seriously hurdling? How fast is Woodall coming back from an offseason knee injury that sidelined her training for many weeks? And how fast might Harris end up flying after losing 17 pounds since last track season? The answers, of course, will only be resolved when their seasons are over, which hopefully means standing on a podium at the state meet in May. But for right now, everything looks pretty darned promising. For starters, all three are running faster than they did at the same point last year. Wajd and Harris, in fact, are way faster. Wajd, a 6-foot-6 junior, admits that last year in the 110 hurdles he never got anywhere near his best time of 15.12 seconds, which he ran in this season’s first meet, the Charles Johnson Invitational. Wajd, also a basketball player on the state final four team, said he didn’t emphasize track as much before transferring from King last summer. Harris, meantime, said she struggled to run under 45 seconds in the 300 hurdles last year, where she ended up eighth at the Class 3A state meet in 45.07 seconds. Harris, a senior committed to Florida Atlantic University to run track, also is interested in seeing how fast she might end up going. 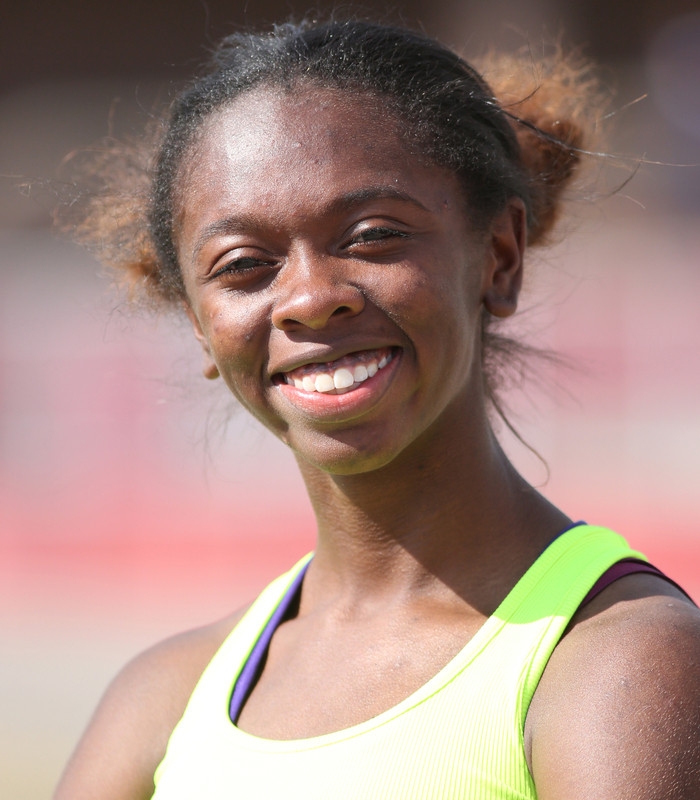 Harris’ best time this season in the 300 hurdles is 44.62, ranking her No. 1 in Hillsborough County and 19th overall in the state. Her time in the 100 hurdles, an event she says she is “still learning,” is 15.12, which ranks second in Hillsborough County to her teammate Woodall, who has run 15.04. Woodall, a junior, said she finally is feeling 100 percent after severely bruising her knee in the offseason while playing a pick-up basketball game.